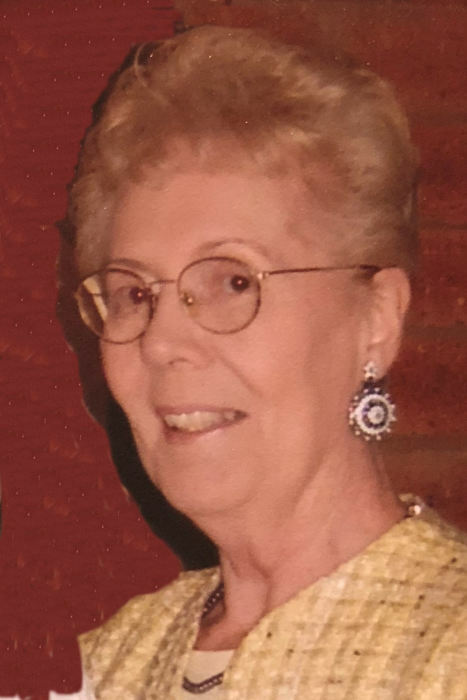 Obituary for Anne F. Burke | Wyman-Fisher Funeral Home Inc.
Anne F. Burke of Chestnut Ridge, NY, passed away on November 27, 2018 at the age of 86. She was born May 14, 1932, in the Inwood section of Manhattan, and was the daughter of Arthur T. Daly Sr. and Mae (nee) Moerler, both deceased. She is survived by her loving children, Martin Higgins, and daughter-in-law Joanna; daughter Anne-Marie Manasier and son-in-law Christopher; and daughter Patricia Burke and companion Thomas Quirk. She is also survived by her greatest legacy, grand-daughters Sarah and Sophie Manasier, and was the beloved Aunt “Dan” to Mary-Jo Daly and Robin Badillo. Anne also leaves behind her favorite sister-in-law Rita Daly-Potter, as well as many cherished nieces, nephews, and cousins. Anne was predeceased by her husbands, Martin A Higgins and Lawrence Burke, and her loving brother Arthur T. Daly Jr.
Anne retired from Nyack Manor Nursing Home in 1999 after 20 years of service. Post-retirement, she went to work for the Rockland County Foster Grandparents Program at the Fleetwood Elementary School. She enjoyed every minute of time with her students as “Grandma Anne” and appreciated the hard-work and dedication of their teachers. Anne requests that, if you are so inclined, do not wear black to her wake or funeral. This will be a celebration of her life, which was a good one!